Reiki means “Universal Life Force Energy”. Reiki is an esoteric Tibetal Buddhist practice that was “rediscovered” by a Japanese Zen monk sometime in the late 19th century. Reiki energy has its own unlimited intelligence. It seeks out all areas in the body that are out of balance or in need of healing at a given moment. When Reiki is applied to your pet it brings about deep relaxation and a sense of well-being. Reiki facilitates healing on all levels, physical, emotional, mental and spiritual. Reiki heals the animal body and emotions, bringing them into balance and promoting health, happiness, prosperity and long life. It is one of the greatest gifts that you can give your pet. Reiki healing operates on the assumption that there are seven different chakras, or energy centers, in the body. The upper chakras (numbers five through seven) hold spiritual feelings and perceptions, while the lower chakras (one through three) relate to physical survival and well-being. In between lies the fourth chakra, the heart. The heart is the pivot, or place of integration, between the upper and lower chakras, between the spiritual and the physical. Colour affects us and all living things on all levels, that is to say, physical, emotional, mental and spiritual, whether we like a colour or loathe it, whether we can see it or not, or, indeed, whether we are even consciously aware of it whether we are human or non-human animals. This is the Universal effect of colour vibrations. Light has a profound effect on all living cells since every cell is light sensitive and also gives off its own light vibration. The cells of the skin act as light filters and allow light of all frequencies to pass to the tissues and cells through the body, which of course includes the organs and glands. Solarised water which is pure mineral water which has been energized with the individual colours (the water can be used to bathe areas of the skin or given in the drinking water so that it is taken in periodically throughout the day). Via the hands of the practitioner who will direct the colour required in a similar way to hands on healing. Appropriate coloured bedding/collars/saddle blankets etc. Noting appropriate colours in the animal’s environment. It is also worth noting that, as an animal picks up on its human’s vibrations. I send energy to all parts of the animal’s body, focusing on those areas that need it the most. 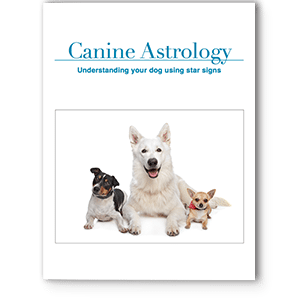 In any case the areas of an animal’s body will absorb the energy that it needs it most. It needs to be very gentle, as animals are much more sensitive than people. Sometimes all you have to do is intend that the animal receive whatever it needs. I ask that whatever supplements, medical practitioners, bodyworkers, or changed life circumstances the animal needs in order to become healthy and happy be sent to the animal by the universe. Energy healing can be remarkably effective, and it can help with emotional problems as well as physical ones.